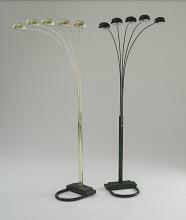 Floor lamps will add light to any room in the home and to those small apartments that do not have overhead lighting, we feature many floor lamps as well as the popular peacock style lamps and several in many different metal and wood finishes. I like my recliner but it is a little on the narrow side for me. Its not as comfy as I thought it would be.